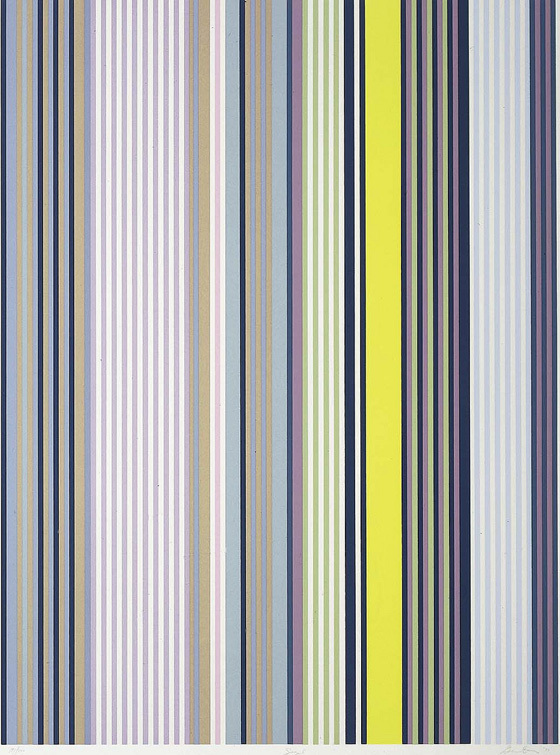 Check out the Color Barcode Multiblend Generator (see examples here), which creates Davis-like veticle stripe multiblends from up to 99 different palettes from the COLOURlovers library. The generator was created by COLOURlover sero*. 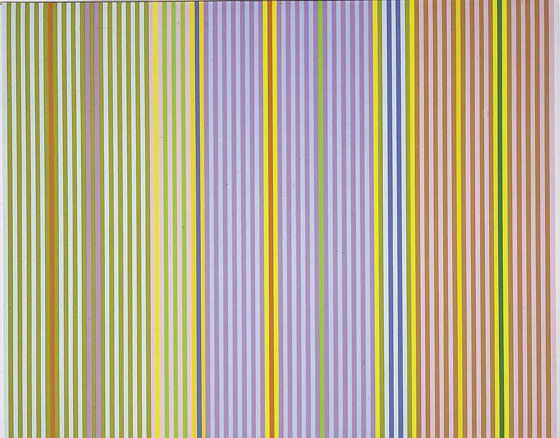 Gene Davis was a member of the group of abstract painters in Washington DC during the 1960s known as the Washington Color School. 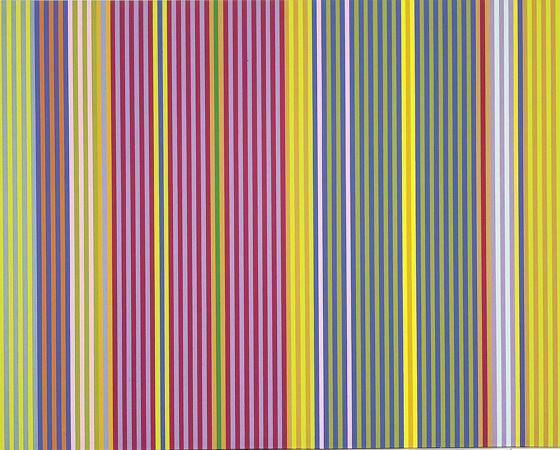 The Washington group artist were among the most prominent of the mid-century color field painters. 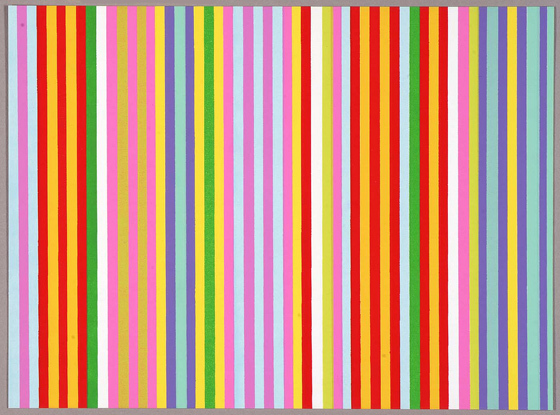 Though he worked in a variety of media and styles, including ink, oil, acrylic, video, and collage, Davis is best known by far for his acrylic paintings (mostly on canvas) of colorful vertical stripes, which he began to paint in 1958. 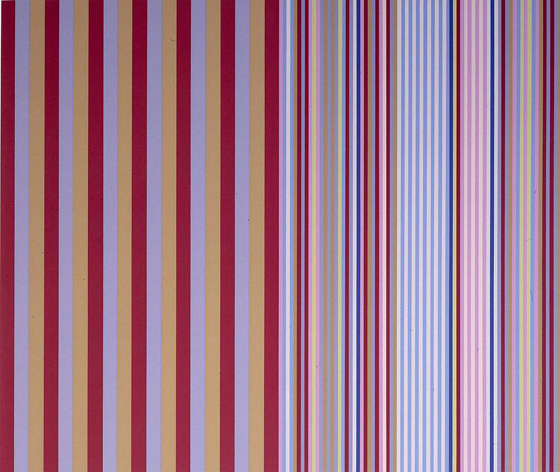 The paintings typically repeat particular colors to create a sense of rhythm and repetition with variations. 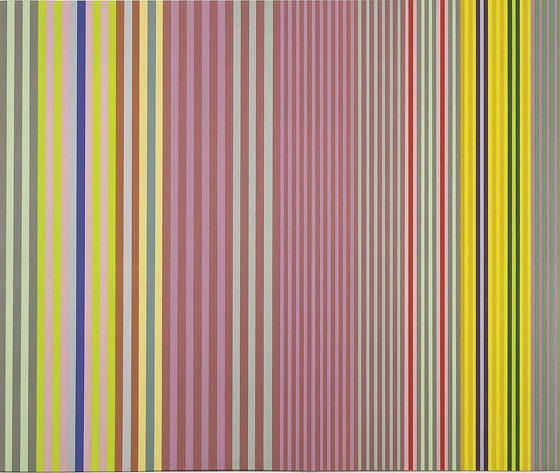 One of the best-known of his paintings, "Black Grey Beat" (1964), owned by the Smithsonian American Art Museum reinforces these musical comparisons in its title. 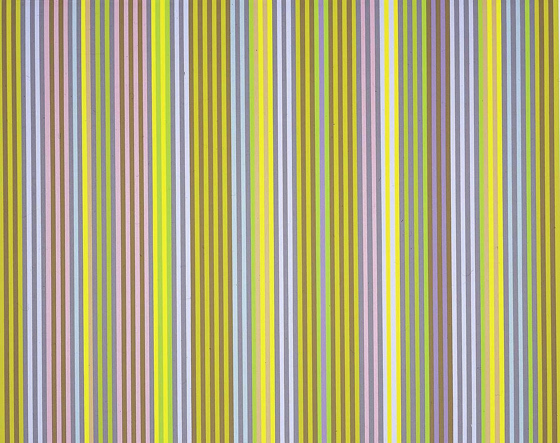 The pairs of alternating black and grey stripes are repeated across the canvas, and recognizable even as other colors are substituted for black and grey, and returned to even as the repetition of dark and light pairs is here and there broken by sharply contrasting colors. 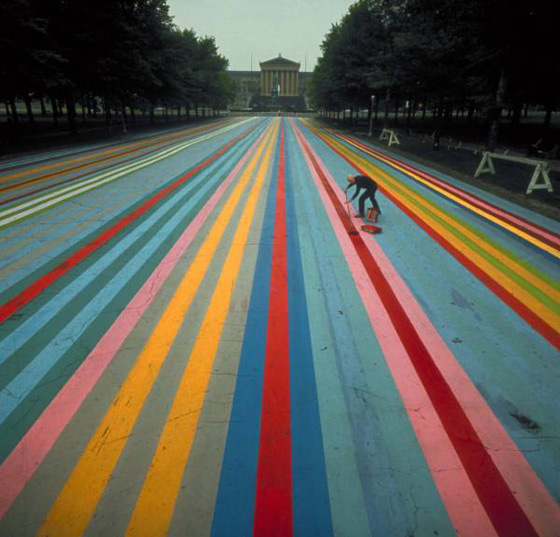 In 1972 Davis created Franklin's Footpath, which was at the time the world's largest artwork, by painting colorful stripes on the street in front of the Philadelphia Museum of Art. 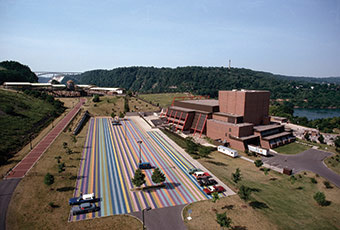 He also created the world's largest painting, Niagara (43,680 square feet), in a parking lot in Lewiston, NY. His "micro-paintings", at the other extreme, were as small as 3/8 of an inch square. 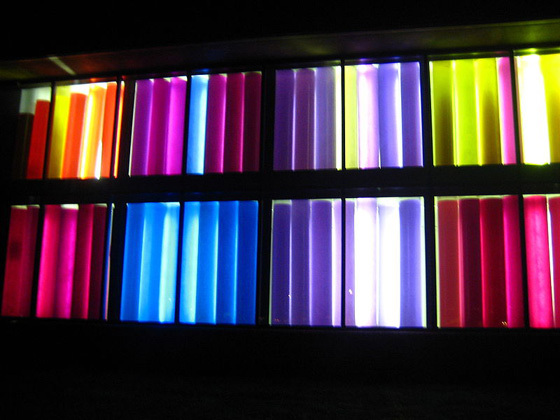 For a public work in a different medium altogether, he designed the color patterns of the "Solar Wall," a set of tubes filled with dyed water and backlit by fluorescent lights, at the Muscarelle Museum of Art at the College of William and Mary in Williamsburg, Virginia. 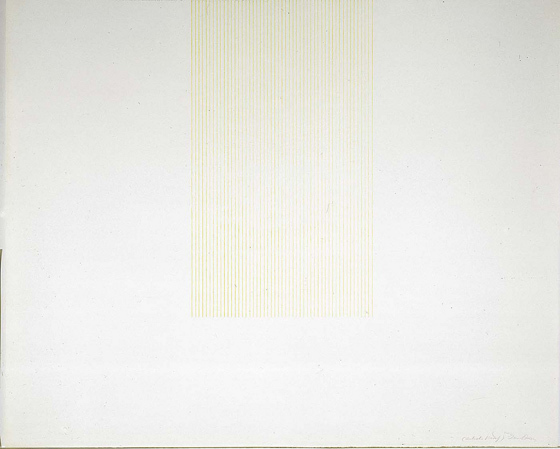 Davis began teaching in 1966 at the Corcoran School of Art, where he became a permanent member of the faculty. His works are in the collections of, among others, the Corcoran Gallery of Art, the Solomon R. Guggenheim Museum, The Phillips Collection in Washington, DC, Walker Art Center in Minneapolis, MN, and the Smithsonian American Art Museum. Images from the Smithsonian American Art Museum and can be found on the museum's flickr page. Love the second one from the top.